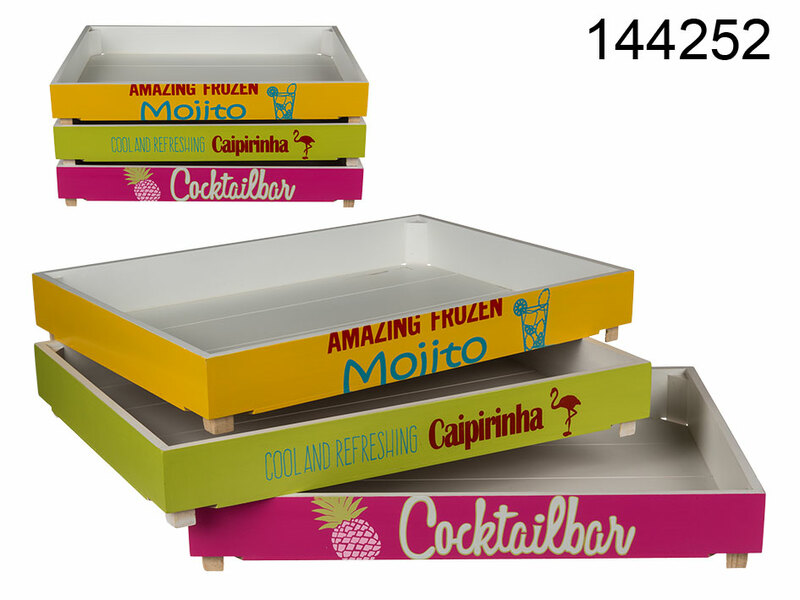 Durable wooden tray that resembles a fruit box. Colourful and cheerful item with summer cocktail theme. Easy way to carry foods and drinks at home or in a restaurant. Stylish decoration for every party. Three patterns available - assorted.